Give your bust the love it deserves with this two-piece set that includes Sublime Bust and Sublime Uplift. We’ve taken phytoestrogen-rich pueraria mirifica and blended it with Adifyline “plumping” peptide to create Sublime Bust – an innovative concoction that enhances the look of your natural curves. 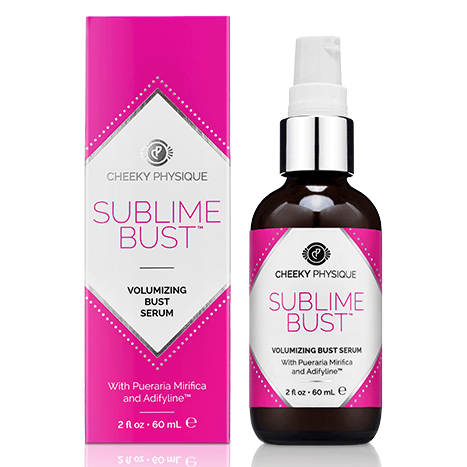 Pair it with Sublime Uplift to give your bust a youthful boost. A lightweight serum, Sublime Uplift firms and smooths the look of the neck and decollete. “The girls” will thank you for the TLC. Smooths and firms the appearance of skin on the neck and décolleté. Reduces the look of horizontal neck lines and chest wrinkles. Hydrates and nourishes skin for an immediate smoothing effect. Helps fight free radicals that contribute to visible signs of aging. A proprietary shiitake mushroom extract called ActifcolTM, clinically proven to improve the appearance of neck lines and chest wrinkles. Visibly plumps fine lines and wrinkles for an immediate smoothing effect. An anti-aging peptide that restores the look of skin firmness and elasticity. 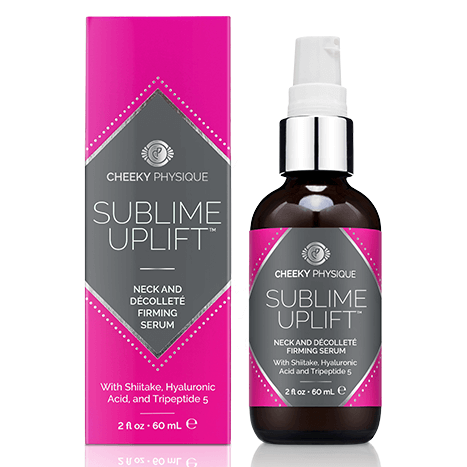 Apply Sublime UpliftTM morning and evening to the neck and décolleté area. Gently massage into skin using smooth, upward strokes, starting at the chest and moving up towards the chin. May be used alone, or layered with your favorite moisturizer or sunscreen.